What Appointlet Triggers and Actions are Supported? New Booking - Triggered when you receive a new booking. New Booking Canceled - Triggered when one of your bookings is canceled. New Third Reminder - Triggers when the third and final reminder is being sent to a client. Use this to send your own custom reminders via email, SMS, etc. New Second Reminder - Triggers when the second reminder is being sent to a client. Use this to send your own custom reminders via email, SMS, etc. New First Reminder - Triggers when the first reminder is being sent to a client. Use this to send your own custom reminders via email, SMS, etc. New Booking Rescheduled - Triggered when one of your bookings is rescheduled. New Booking Declined - Triggered when you decline a booking. New Booking Confirmed - Triggered when an booking is confirmed. If the service booked is marked as auto-confirm (the default), this will be sent immediately after the "New Booking" trigger, otherwise it will be sent when the booking is confirmed by you. 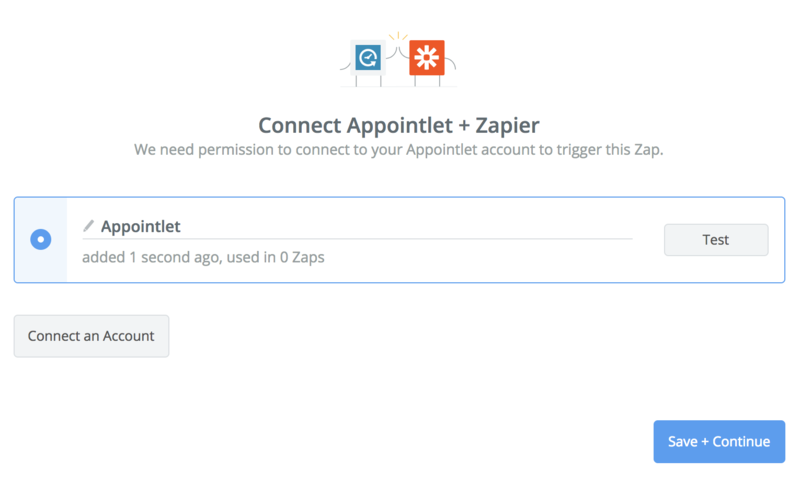 To get started with Appointlet, first click Connect to add an Appointlet account to Zapier to be used in your Zap. Next, you'll be asked to login to your Appointlet account. 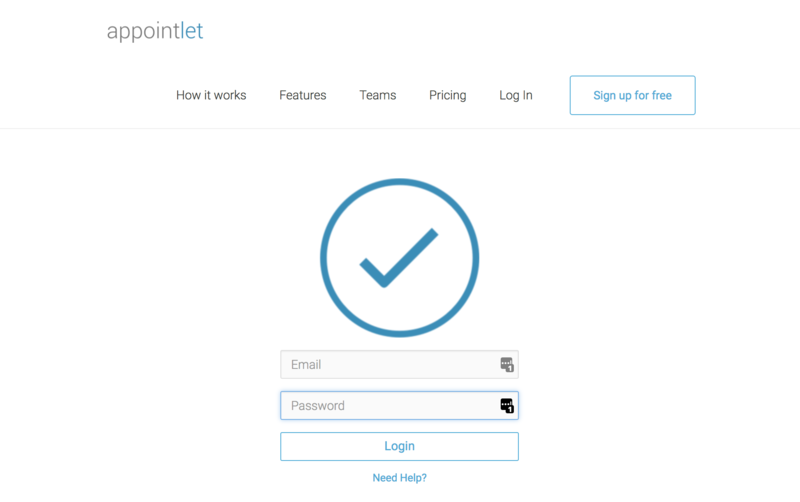 Once you've logged into your Appointlet account, you will see a permissions request screen. 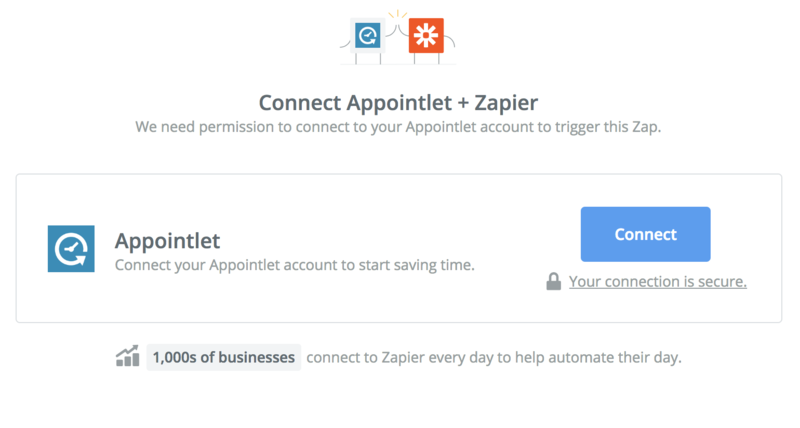 You will need to click Allow in order for Zapier to connect to Appointlet. 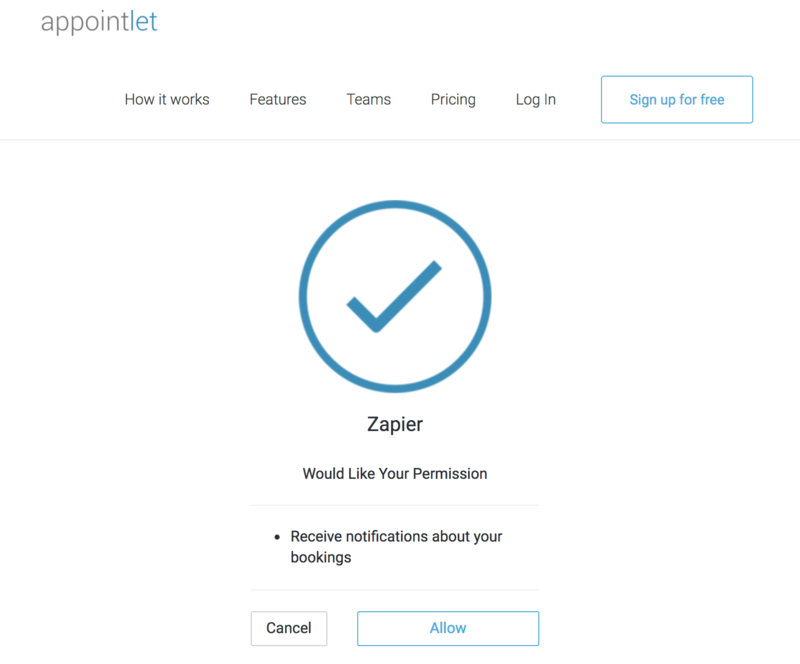 After logging in and approving access, you'll be returned back to your Zap and your Appointlet account will now be successfully connected.